Make a grand entrance with a new Permaframe Door. 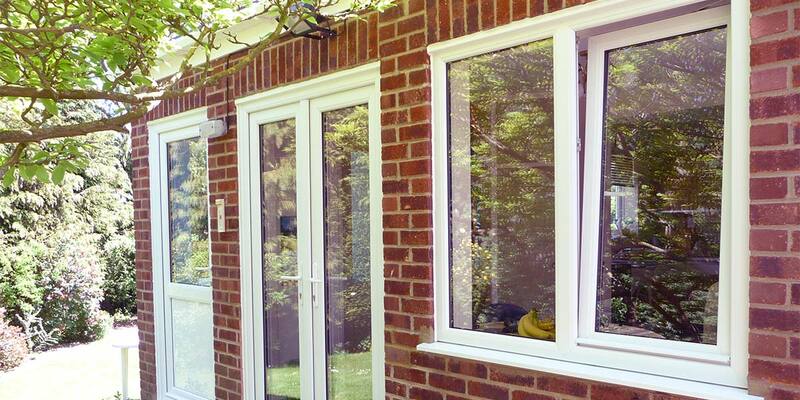 Our double glazed Tilt and Turn windows offer home owners a uniquely operated replacement window system. 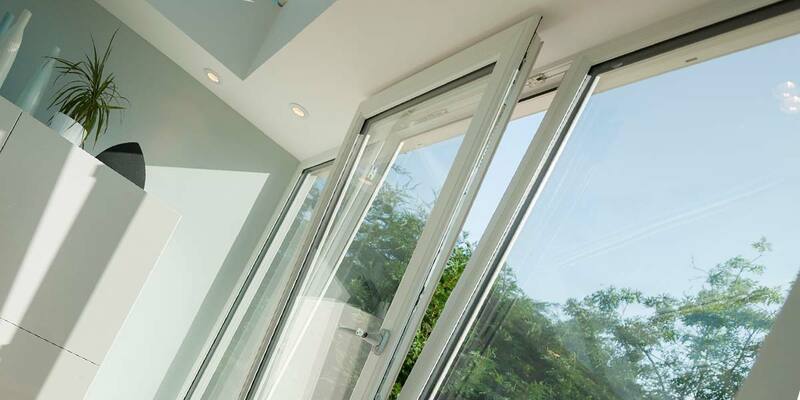 The top of each Tilt and Turn window will tilt open inwards on bottom hinges, or with another turn of the handle they will openly inwardly on their side hinges, making them ever so easy to clean. 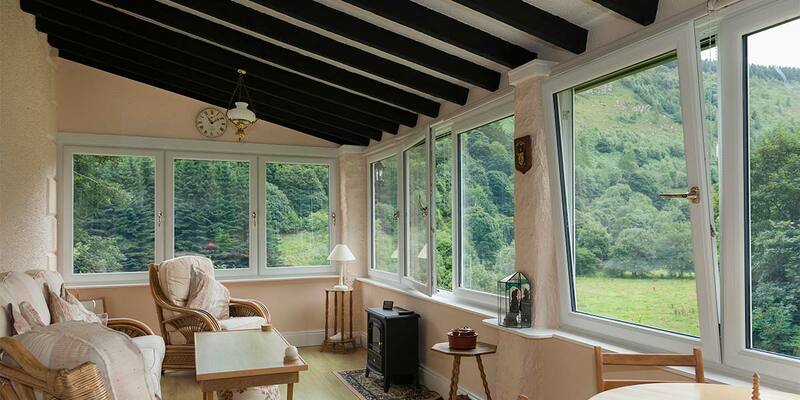 Tilt and Turn windows are ideal for swift ventilation of homes on sunny days, as operate like no other window system. Two operation windows, first or tilt position offers ventilation, second or turn position offers cleaning and egress. Child restrictors and ‘safe’ locking handles provide safety in use feature. Replacing your existing windows isn’t an easy task. 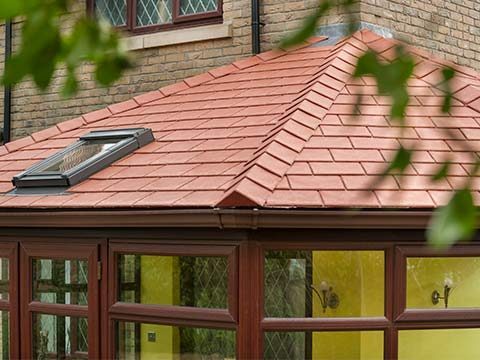 You have to get your decision spot on when it comes to finding a suitable substitute otherwise it could have a hugely detrimental effect on the overall appearance of your property, one that will be extremely costly to rectify. 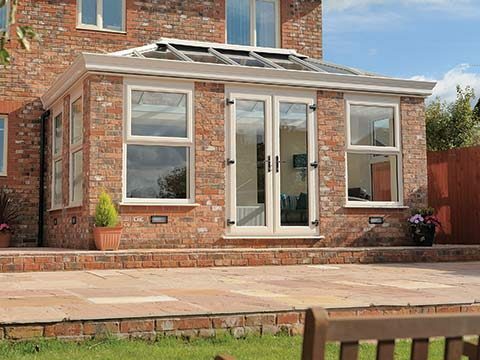 Permaframe will ensure that you find a window that you like and which will transform its look for the better so feel free to talk us through your requirements and we’ll offer the right solutions. 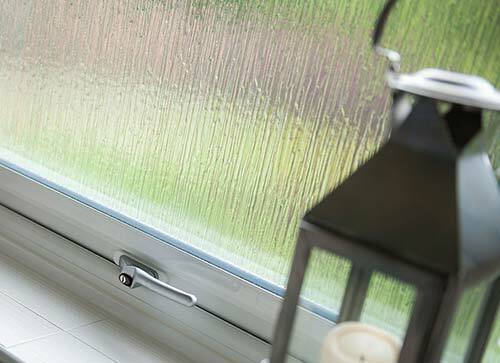 Functionality - The look of a window is just one consideration that needs to be contemplated. You may or not be aware that many window designs function in conflicting ways and you’re best trying them all out to discover your favourite. Some windows slide vertically, some open from the side or top, and some open and close via a tilting motion. A trip to our showroom will give you chance to have a play around with each option. 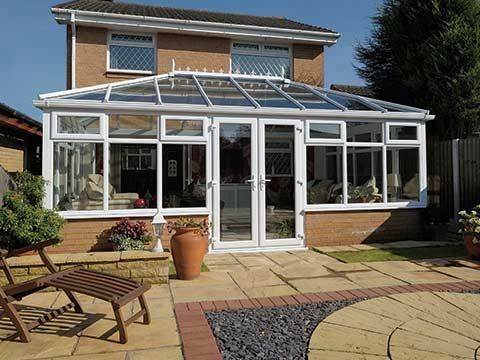 Guarantee - It goes without saying that we are extremely confident in the quality of our entire window collection and we want you to share that confidence. 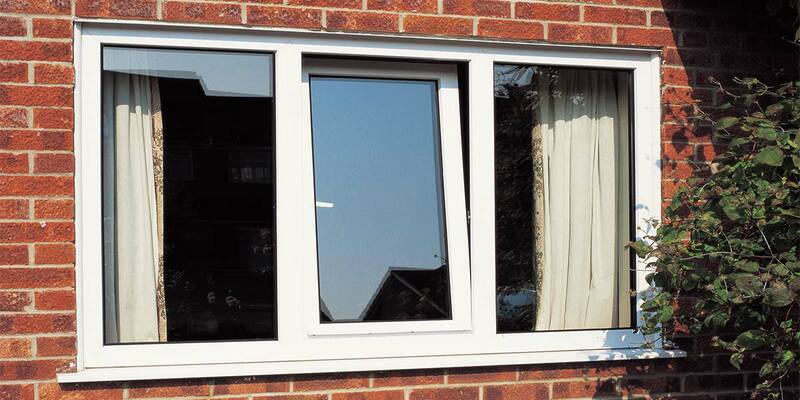 That’s why we supply all windows with an extensive guarantee which covers you should any problems arise in the future. We do mention within it that occasionally some small remedial adjustments will need to be made so please give the entire guarantee a thorough read at the time of purchase. 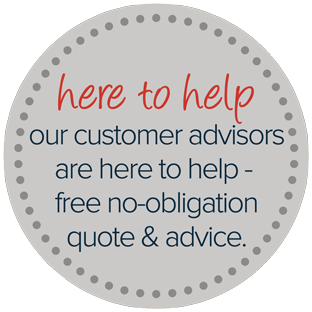 For help & advice call 01373 452022 today! 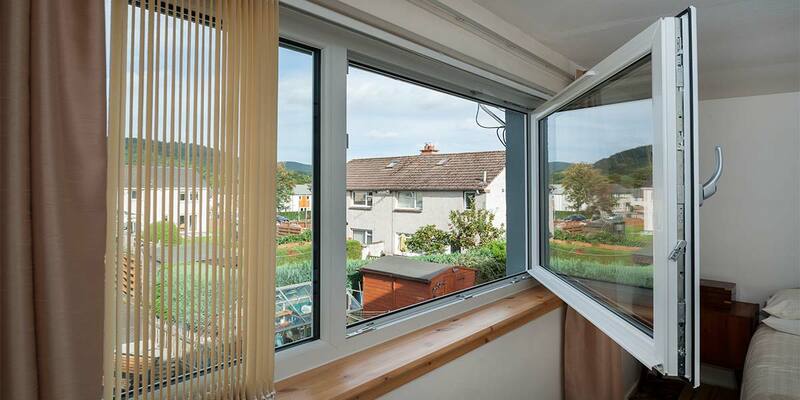 Windows that boast the new A+ Plus rating will insulate your home in much the same way as cavity wall or loft insulation. However, the type of glass used for these windows not only stops internal heat from escaping, it also facilitates the transfer of external warmth into your home, and so the benefit is doubled. Switching to A+ Plus energy efficient windows is a worthwhile investment and one that will be more than reimbursed during the lifetime of the product. 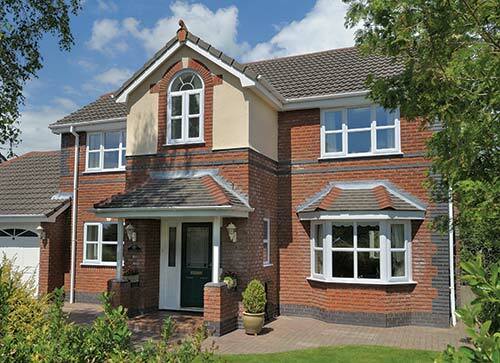 Conservative calculations suggest that modern UPVC windows will be in working order for at least 20 years; some go as far to suggest that 35 years is more accurate, taking into account the inherent qualities of the materials and manufacturing processes used. 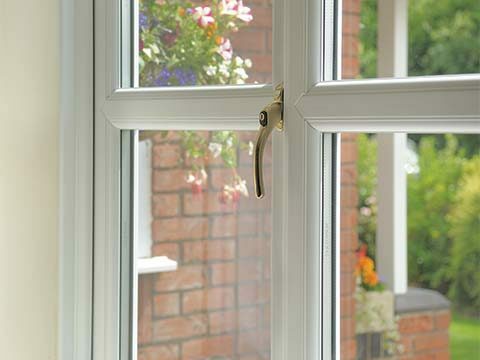 The outermost frame of a window is the part which is mounted to the walls of your house and provides a fixing for the opening sashes to be fitted in to. 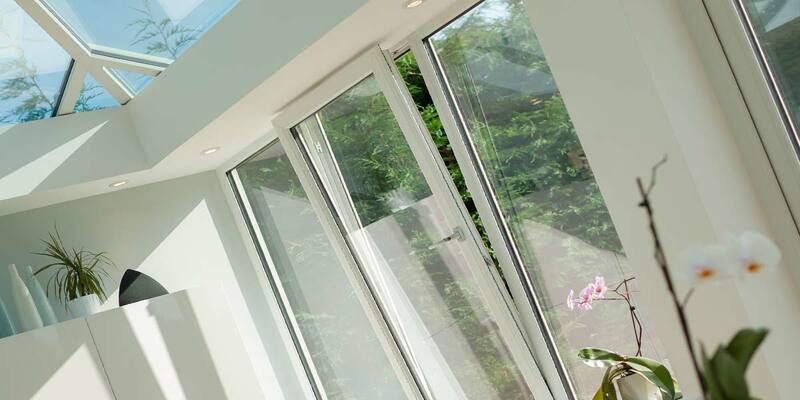 A window’s outer frames and sashes – often rectangular or square, but in some cases other shapes – are created from lengths of ‘profile’ which is designed to look good, perform excellently, and be easily installed into domestic properties. 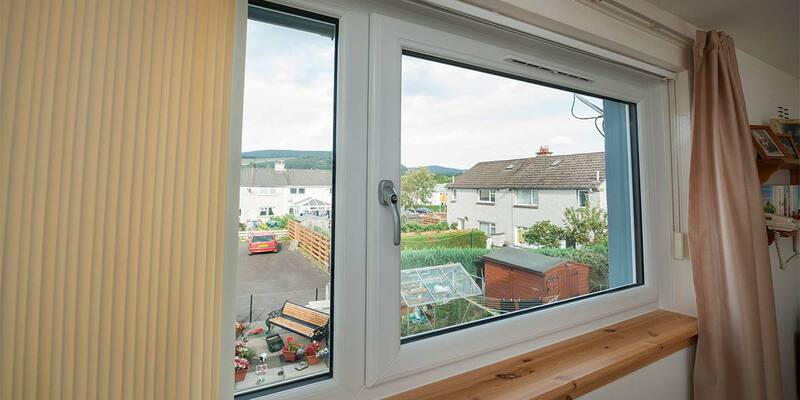 Insulating cavities in the outer frame and sash improve the insulation naturally given by UPVC and the double or triple glazed unit is fixed in place using an internal glazing bead which offers security benefits. 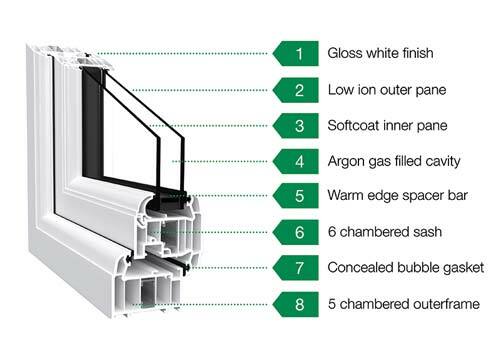 The outer frame profile has 5 insulating sections and the new and improved sash profile has 6 insulating chambers. Steel reinforcing can be inserted into these chambers for added strength if necessary. 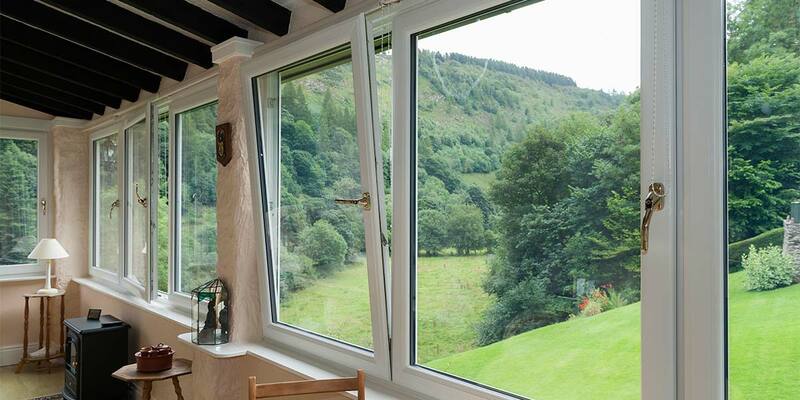 A+ Plus windows are offered with both double glazing and triple glazing, thought the latter actually qualifies as being an A++ (Plus-Plus) window thanks to the third pane. 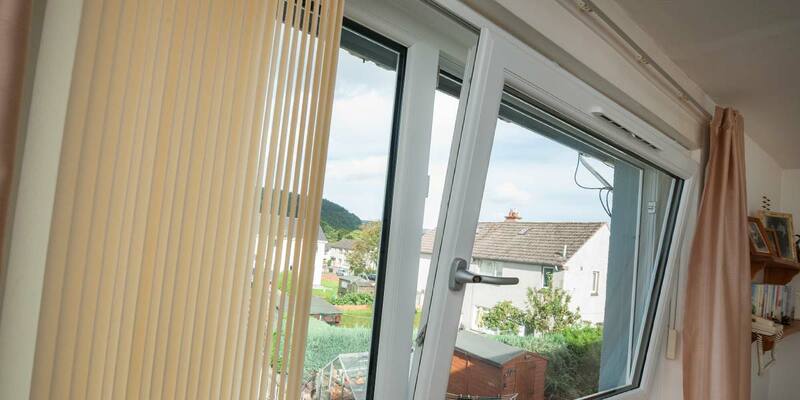 Although it is triple glazing which provides the superior level of insulation, the location and weather conditions that your house is exposed to will often command the option which will be most fitting for you. Privacy Glazing - Privacy glazing is almost always featured in bathrooms, whether that is on the ground floor, first floor or higher. This glazing obscures the view through the window without significantly reducing the amount of natural light that is allowed into the room from the outside. 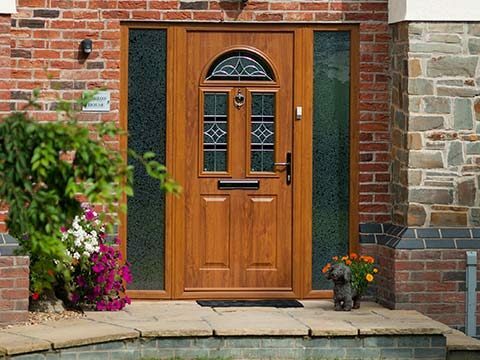 Privacy glazing is also often used in the sidelights of a front door too. 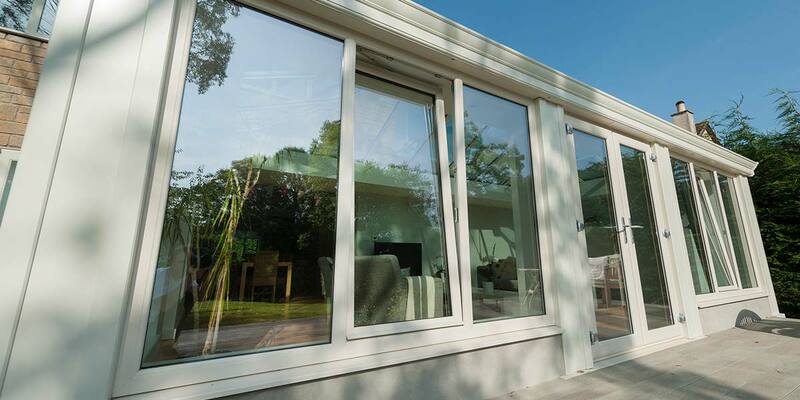 Privacy glazing can also be included into A+ Plus double glazed and triple glazed windows meaning that the benefits of both the privacy and energy efficiency are given at the same time. We have a range of obscured glass designs on offer which each create a different visual effect with textured patterns such as Stippolyte, Minster and Florielle. 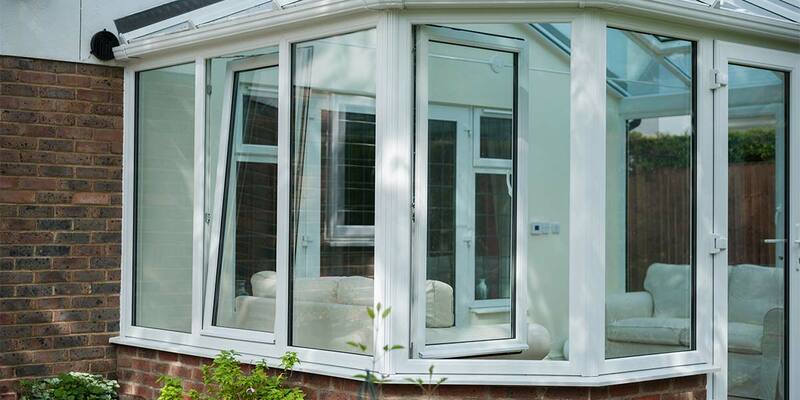 One of the most popular colours that our A+ Plus UPVC windows are made in is white, due to its ability to work well with almost any décor, and the resilience of the UPVC surface finish. 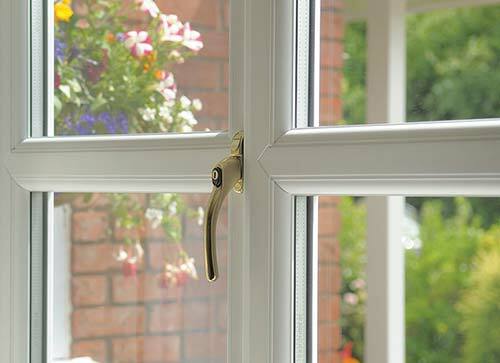 There are however many different colour options that you may wish to look at before upgrading your windows with A+ Plus energy efficient replacements and these include the classic wood-effect finishes Golden Oak, Cherrywood and Mahogany, or up-and-coming favourites such as Grey, Chartwell Green and Cream. Woodgrains - To further emulate the appearance and appeal of timber windows without the accompanying upkeep we have six woodgrain options which include three timeless classics: Cherrywood, Golden Oak and Mahogany; as well as the increasingly popular Irish Oak and the more niche selections, AnTeak and Rustic Cherry. Make your house a home! 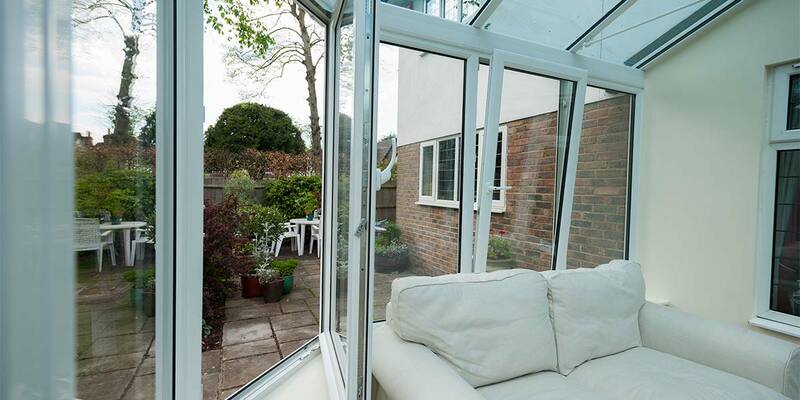 Let Permaframe take care of it for you – get in touch with us today and see how we can help. or call us today on 01373 452022. Excellent service and after sales maintenance. Can't fault these guys. Faultless polite professional. No silly sales folk. All work carried out as promised first class service!! Fantastic service from start to finish and an amazing product. Excellent company to deal with and excellent products and service. All content © Permaframe Installations Ltd.